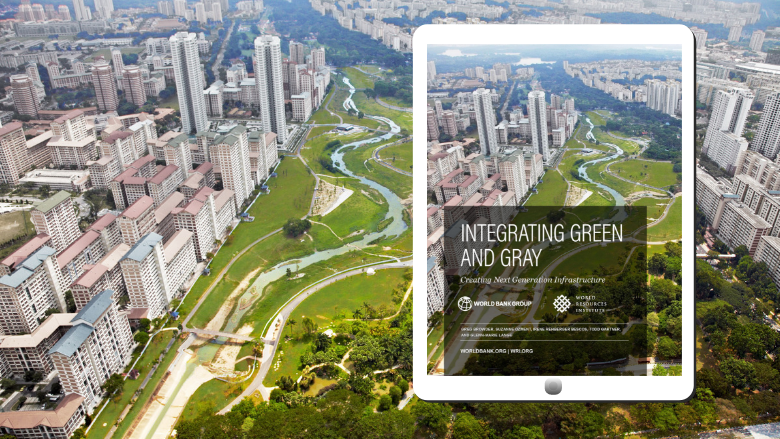 “Integrating Green and Gray – Creating Next Generation Infrastructure” is a joint report from the World Bank and the World Resources Institute (WRI) that aims to advance the integration of green and gray infrastructure solutions. It focuses on the global growing infrastructures crisis, driven by climate change and population increase. It provides insights, solutions and examples for “putting nature to work”. The report analysis the technical, environmental and economic dimensions of a typical project assessment and also outlines the enabling conditions required to promote a successful implementation of green-gray projects. Its aim is to encourage timely action both in the policy and practice fields.